Having recently moved my waffle franchise south to a place the locals here call “North Carolina”, I thought it would be interesting to perform that most agonizing of middle-school tasks: Compare and Contrast. But to make it more interesting – and possibly more telling, we’re going to give the C&C treatment to the economies of Vermont and North Carolina. I’m picturing this as kind of a Goofus and Gallant deconstruction of public policy. If you happen to assume that Peter Shumlin is the Goofus in this scenario, well, that’s up to you. 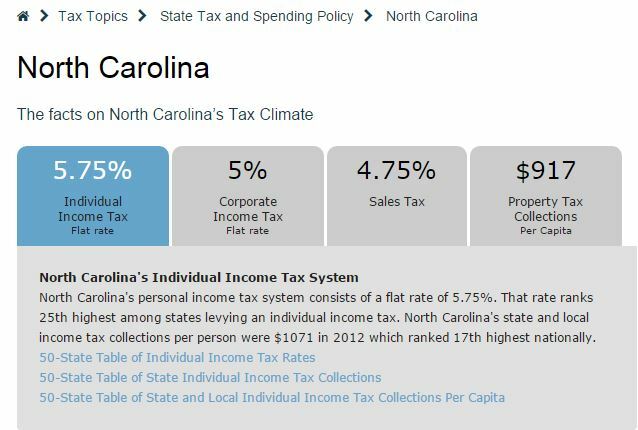 North Carolina: In 2014, North Carolina recently dropped its income tax rate, and completely flat-lined it. Where they had three brackets before (ranging from 6.0 to 7.75 percent), there is now one single rate of 5.75% on all income levels (actually down .05% from 5.8% in 2014; is there no end to this tax rate reduction madness?). 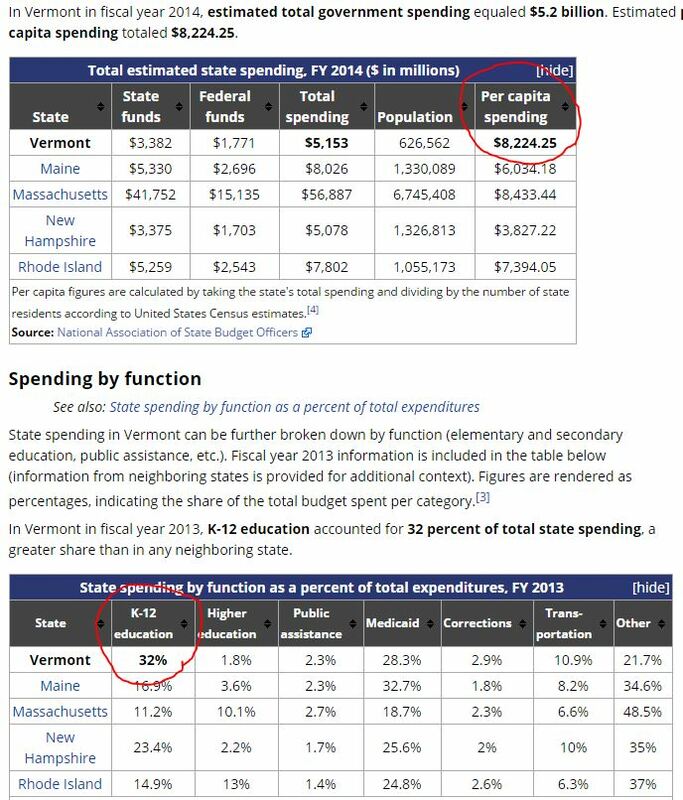 Vermont: In 2014, and now in 2015, the governor’s office and the state legislature seem to spend the bulk of their time trying to find new things to tax, and to scratch their heads as to why income tax revenues are not matching the governor’s rosy budget outlooks. 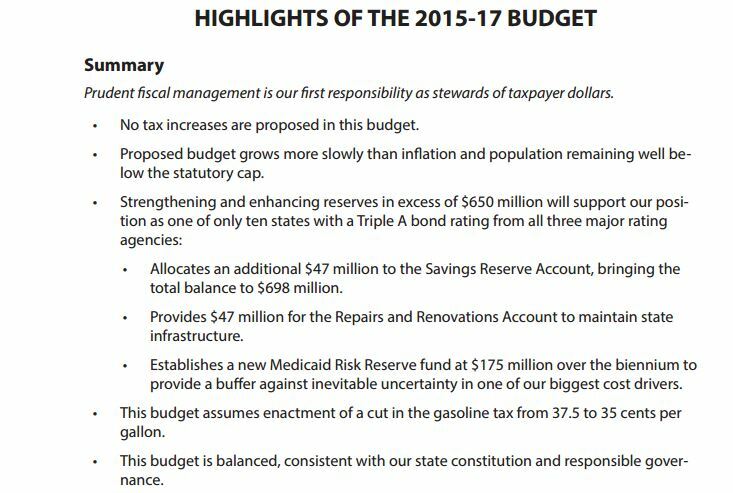 In August of 2014, two months after the state’s budget was passed, the legislature was called back into session to cut the budget they had just said was needed for Vermont’s economic well being. 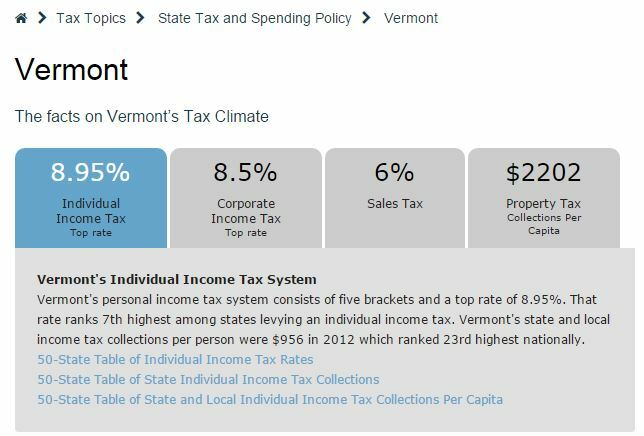 The Shumlin administration has already announced that property taxes are set to rise by 2 cents to $1.00 per $100 of assessed value for homeowners and $1.54 for non-residential properties in 2015. And, Speaker of the House, Shap Smith has indicated that he would like to shift more of the $1.5 billion education budget onto the income tax as part of education finance reform. Also on the front burner for the 2015 legislative session is a $250 million carbon tax, which would translate into a 45¢ to $1.35 tax on every gallon of gasoline, and something similar for home heating fuel. In every instance, the only solution is more cowbell, er, taxes. 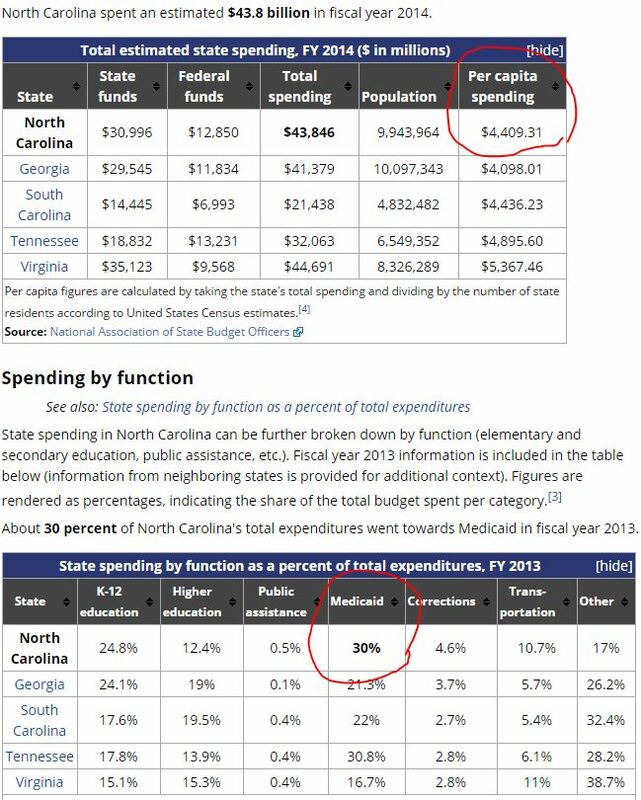 North Carolina is cutting specific taxes on income, gasoline, etc – the taxes that most directly impact the taxpayers’ bottom lines. Finally, let’s look at the net result of these policies, in terms of job growth. 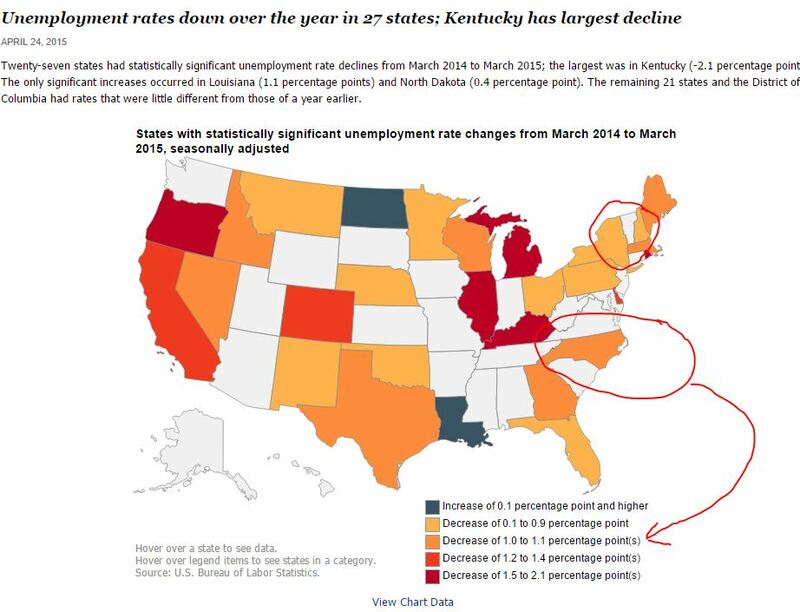 From January 2014 to January 2015, Vermont’s total employment gain was 1.3%. North Carolina’s? 2.6%. North Carolina is doing better than Vermont. 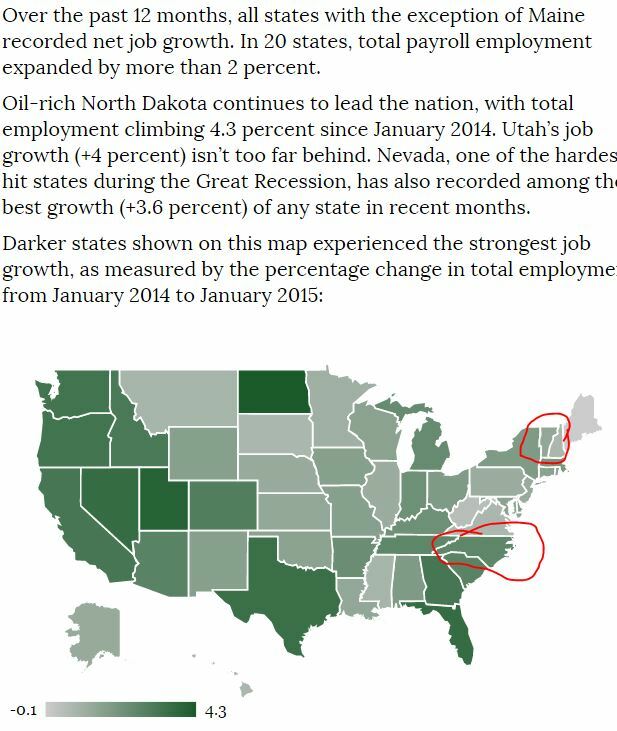 By some numbers, North Carolina is doing twice as good as Vermont is, in terms of creating jobs. Jobs are what provide tax revenues, not soda purchases. But when you spend most of your life under a dome that is golden, you don’t really need to see or even try to understand what’s going on outside of the box you’ve happily put yourself into. Because to do so would point out, at klaxon-alarm-levels of loudness, that you’re killing Vermont’s economy, and with it, the livelihood of all Vermonters. This is what happens when you place your faith in government as a vehicle for “progress” and “solutions.” It’s a sucker’s game and always has been.